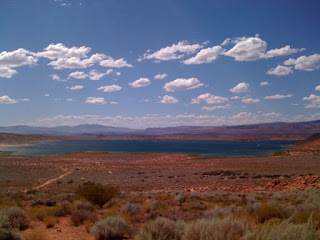 and drove the 3 hour back to our beloved Toquerville and St.George. St.George was okay, Toquerville was fantabulous! I got to see my buddies, Max and Nikki. Max still smells as bad and Nikki seemed to be so quiet. I'm sure Max still remembers me even after the 2 month absence. I fed him the dog treats I bought when I still lived there (I wonder if anyone ever feeds them the treats, there were still a whole bag there), and he showed me some tricks I taught him (sitting and jumping). Oh...it was so good to see them. Of course, there's my sweet mother-in-law, my two bro-in-laws, and our old bedroom. and the opportunity to make fun of Kendall. They were one of the reasons I am so sad to leave Toquerville. I don't have small buddies like that here anymore. It feels like I am deprived of human presence in my life here. well, except Mr.L who, to me, is like a zombie, anyways. We had to go to St.George, just cause Mr.L's only friend lived there. but it seems like he only hangs out with Paul. We also did two fun photo shoots when we were there. and one at a park in St.George. I seriously love styled photo shoot. I love the effort and all the props that make a photo shoot stand out and fun. It's funny how I LOVE doing all these even though I am not paid to do them. (when I have more $$ to buy props, and when I have more time to handmade some props). On the day we came home, it was Mr.L's grandma's birthday celebration. We celebrated it at my mother-in-law's house. So all the little cousins and aunts and uncles came too. It was so good to see everybody again. and the food was GREAT! I miss not having to cook on Sundays. my sweet mother-in-law was the one who cooked for the whole family on Sundays. 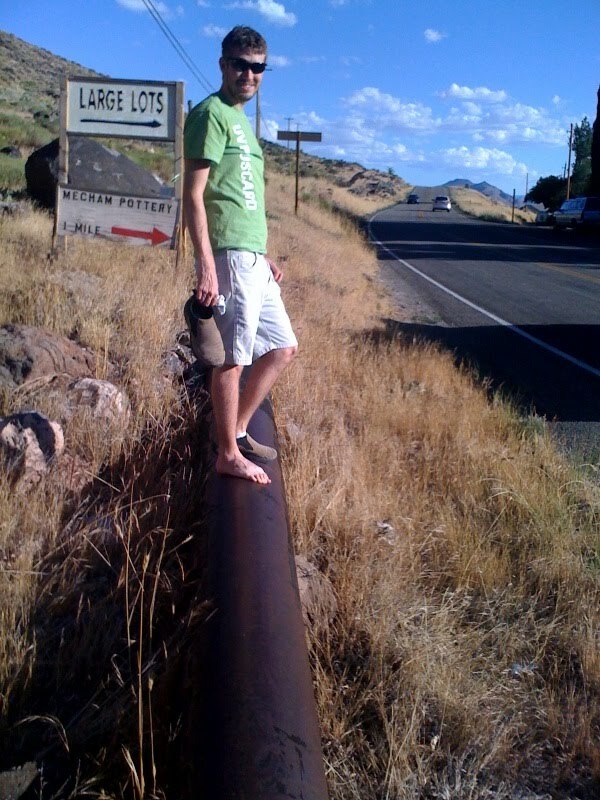 So now that almost everyone on my FB has a photo album, entitled "Summer 2010" or something like that. Should I follow the trend and post my pictures on FB too? The reason I feel tempted to do that is I want to share some pictures with my friends who don't come to my blog. and add people whom I have never seen in my life. It's to get my business name out there. So...what's a girl to do??? Advice, anyone? 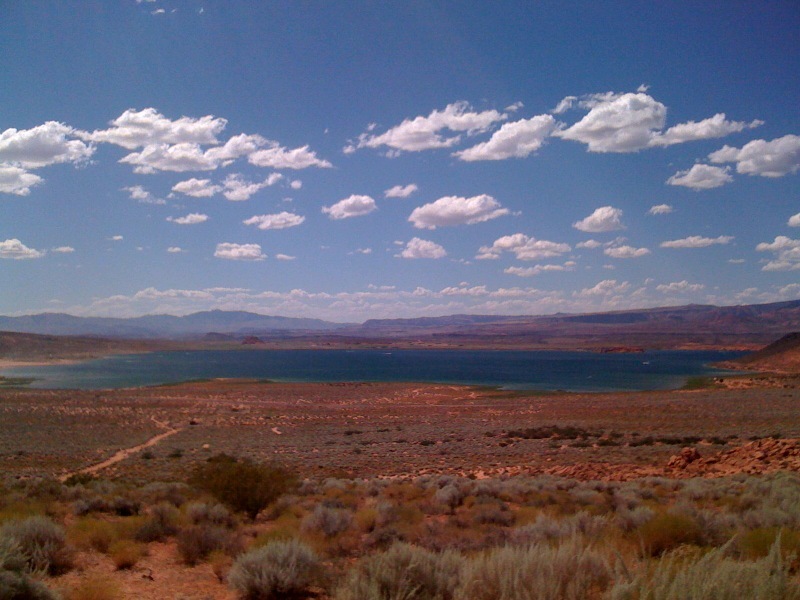 Sand Hallow reservoir. There's nowhere in the world that has such dense blue sky. Only in Southern Utah. The blue looks so pretty against the red rocks. It rained pretty dang hard when we were there. The lightning struck pretty close to our home, in our neighbor's yard. The tree that was struck by the tree that morning. Our whole house shook. The pipe that goes a long the hill in Toquerville. It's one of my favorite spot. and no matter how long it was exposed to the scorching sun. I cannot stress enough how pretty Toquerville is. So many nice spots for pictures. 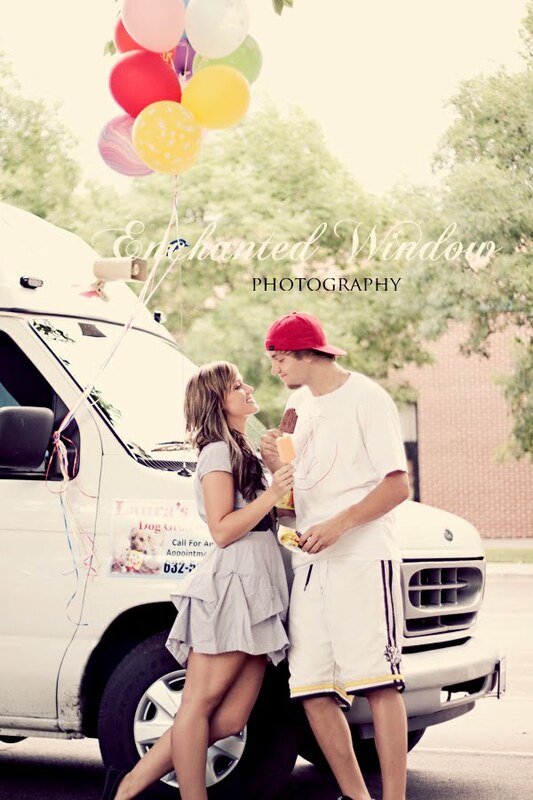 An ice-cream truck drove by so we decided to take some pics using it as our backdrop.